If there is one thing you could never accuse Paramore of being, it’s boring. Since their original formation in 2002, the group has undergone a series of dramatic band member exits, legal disputes, new line-up additions and genre experiments. However, After Laughter, the band’s fifth studio album, is possibly their most radical change of sound to date. Mixing classic indie rock with that reminiscent of electronic eighties pop, the record is the perfect demonstration of the band’s progression, whilst subtly remaining faithful to their signature musical characteristics. Opening with ‘Hard Times’, the first single released in anticipation of the album, you would be forgiven for not instantly recognising the artist of the track – that is until Hayley Williams’s unmistakable powerhouse vocals kick in. Coupling catchy guitar riffs with strong synth patterns, the tune is summery and carefree, and is accompanied by a super cool video influenced by a-ha’s ‘Take On Me’. Continuing the upbeat indie rock vibe is ‘Rose-Colored Boy’, followed by ‘Told You So’, the second single to be taken from the album. However, slower songs such as ‘Forgiveness’, and especially ’26’ reveal a soft sensitivity, Williams gently singing “they say that dreaming is free // I wouldn’t care what it cost me” accompanied by only an acoustic guitar. 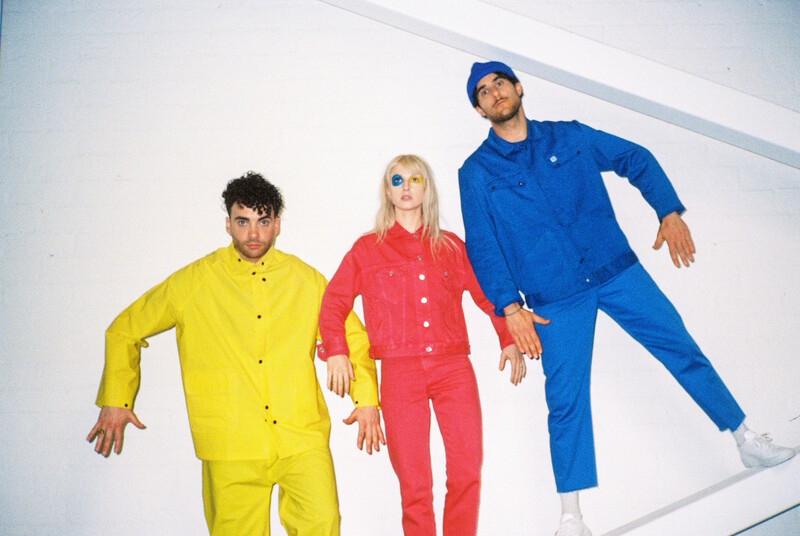 ‘Fake Happy’ misleadingly opens with raw vocals and more acoustic guitar, before unexpectedly blooming into a whirlwind of electronic chords and energetic bass. The glass-like synth of ‘Pool’ is not dissimilar to that of Newcastle indie band Little Comets, but Paramore’s trademark bold guitar and vocals soon kick in to help differentiate. Reflecting themes of space and aliens, ‘Grudges’ is composed primarily of synth and bass, before ‘Caught in the Middle’ indicates the album’s reggae influences through its strong chorus percussion and light guitar riffs. Continuing the theme of strange synth sounds, ‘Idle Worship’ is almost reminiscent of funfair music, the harmonious choral-sounding backing vocals creating an eerie tone, before breaking into a carnival style chorus. In contrast, ‘No Friend’ explores a completely different style to the majority of the record, consisting of mumbly male vocals, and makes for an intense, almost instrumental track perfect for nighttime drives through the city. Last song, ‘Tell Me How’ is gritty and honest, and serves as a reminder that Paramore still have as much feeling as their ‘My Heart’ days.